We all know the negative effects the sun can have on our skin. SPF is so important, but it often stops us from getting that natural, healthy looking glow many of us want in the summer or even all year around. That’s where at-home self-tanners come in. Giving your skin a sunless tan can give you that extra boost of color you want without the harmful rays of the sun damaging your skin. Whether you want immediate color that washes off in your next shower or a gradual tan than builds up subtly over time, you can find an option that works for you at an affordable price. Self-tanners come in every shade, so even the palest skin won’t turn out orangey and the darkest skin can still reap the benefits of a sun-free glow. The number one rule to remember when applying a self-tan: don’t use too little product. The biggest mistake people make is using a little bit of product to cover a big area, so make sure you’re covering every inch of your skin for the most natural, even looking tan. And if you go overboard, grab a lemon and massage it on the streaky parts to fade them. Whether you’re a self-tanning newbie or a total pro, a mousse formula is an easy way to get a natural looking tan in no time. Just use a few pumps on each limb and blend it in with a tanning mitt. You’ll see the color glide over your skin so you know where you need more and where you need to blend a little extra. Then, the color fully develops over the next few hours to your perfect shade. 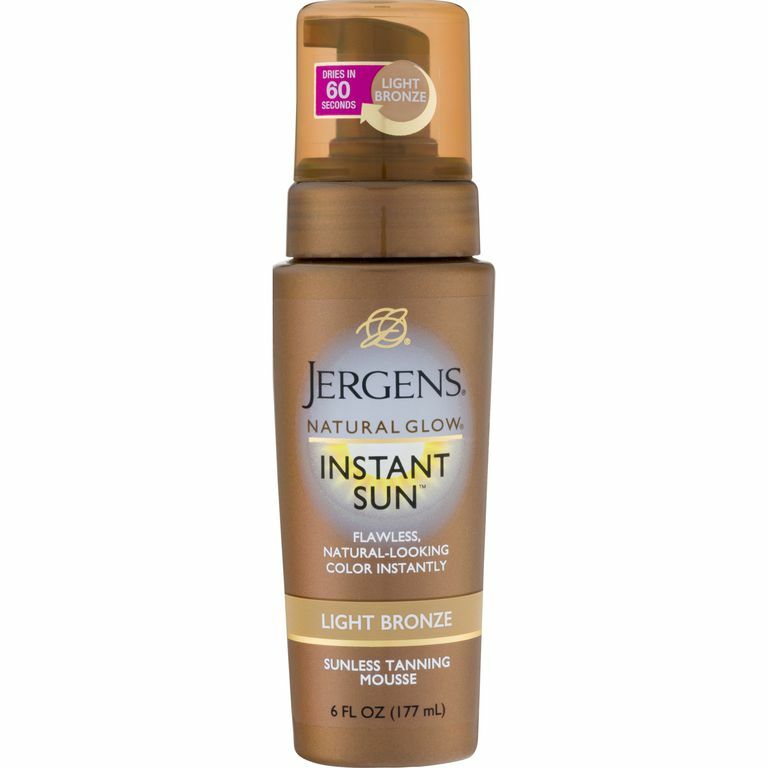 If an instant tan is not your speed, a lotion is a great formula to try out. This one from Neutrogena builds your color over time, so you won’t wake up the next day with a major tan. But after a few days of using the lotion, you’ll notice a subtle glow. And if you want to keep going darker, you can just keep using it. When it comes to tanning your face, it’s important to choose the correct formula. The pH of the skin on your body is different from the pH of your face, so the color in self-tanning products develops differently depending on the pH. So, if you apply the same product to your face and your body, that color may turn out darker or more orange on your face—which isn’t ideal. You can easily shell out a ton of money on tanning products, but why do that if you don’t have to? This affordable formula is super affordable and effective. It’s formulated with aloe, so it’s soothing for skin that’s been out in the sun. And the spray nozzle makes it easy to apply at any angle—even upside down. Most self-tanning formulas are safe for pregnant women because the main active ingredient in tanning products, dihydroxyacetone or DHA, is a simple carbohydrate often derived from natural sugars. Applied topically, it’s totally safe to use. Admittedly, this formula isn’t technically a self-tanner. It’s body makeup. But it’s a product that celebrities and makeup artists swear by for getting one-night-only color that looks amazing on your legs, whether you’re in a dress or walking on the beach in a bikini. For beautiful olive skin tones, the last thing you want is a fake looking orangey tan. This liquid self-tanner gives a natural golden glow instead. It comes with a mitt, so you can blend it all over for a streak-free finish. If you have very fair skin, jumping into the self-tanner world can be scary. One day you’re super pale and then next you can end up looking like you’re covered in Cheetos dust. That’s why a gradual tanning formula is a good choice for fair skin. It never just turns your skin tone a totally different color; it enhances it slowly. Depending on how often you apply it, you can control how dark you want your tan to go.